Satan? Ego? Useful or Faulty Design? – Vibrational Reviews – What is YOUR vibration? Satan? Ego? Useful or Faulty Design? I have been observing myself as a spiritual practice. 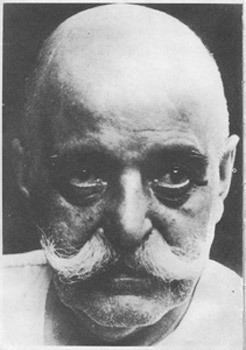 Trying to “remember myself” as Gurdjieff would say it, call upon the “witness” or “observer”. Be awake. Either way, I have noticed something remarkable about myself: see if you can relate. When I am in front of my computer* (where I spend most of my day) and I encounter something that requires the slightest push on my end, I see myself automatically going to the computer game of my choice, freecell. I began observing this phenomenon about 6 months ago (it was there, unobserved, for many years). But 4 days ago I decided to employ “restriction,” which is one of Kabbalah’s main tenets, and see what will happen. Still curious, more interested in the experiment than conquering the force that moves my hand, I saw something today that is worth sharing. Since I have started this blog, I have been watching how I somehow leak the energy that is necessary for creative thinking and expression… by talking on the phone, by playing freecell. Every occasion when I need the little push and I opt to play instead, two things happen: 1. I have diminished the internal discomfort 2. I have successfully diverted my attention from what is important to me. The first one is good, right? Who would want to be uncomfortable, after all. SOURCE: click to continue reading Satan? Ego? Useful or Faulty Design? Previous PostPrevious Satan? Ego? Useful or Faulty Design? Next PostNext If the caterpillar planned to become a butterfly, there would be no more butterflies… but why?